Using high quality materials can sometimes be the difference between feeling uninspired and WOWed by your creative journey. That said, if you have to choose between cheaper materials and not making art at all, head to the dollar store and hook yourself up! I often mix and match inexpensive and more costly paints that I find special or plan to use sparingly. Below is an overview of the supplies and equipment I use in my own painting practice, along with a suggested shopping list below. Feel free to pick and choose the supplies you want to purchase at the outset…. nothing is mandatory. You can always start with a limited selection of paint colours and add more along your painting journey. Easels - Definitely optional. I often paint on the floor either kneeling or sitting on a cushion. Sometimes I've covered a chair with a drop cloth to use as a makeshift easel while I sat in a chair across from it. If you plan to purchase an easel, aluminium, lightweight, easy to store easels can be an affordable option. Wooden ones are also lovely if you have a more permanent painting space. Painting Surface - In terms of painting on canvas, I prefer to use heavy texture, pre-stretched/pre-primed canvas. Watercolour paper (140lb), wood, and reclaimed thrift store paintings (with a coat of primer applied) can also make for some interesting painting surfaces. Another favourite and low-cost option is a 4’x8' sheet of wall panel from the hardware store. Where I live, this runs about $12 CAD a sheet. The store staff will even cut the sheet down for you, giving you several panels to play on. I've cut a panel down to 12 smaller pieces, which means each one only costs $1! This is a great way to take the pressure off if you are on a tight budget or nervous about painting on an expensive canvas. These panels can still be framed and hung beautifully. Be sure to always prime wood before you paint it. Paint - In terms of brands, I prefer Golden Fluid Acrylics, Golden Heavy Body Acrylics, or Liquitex Heavy Body Acrylics. Keep in mind that fluid paints are great for semi-transparent layering, drippy bits, and liner work. We use fluid paints for the majority of layers in our painting process. Heavy body (thick) paints are awesome for adding accents, creating texture or vibrance, and/or covering something up. And of course, basic craft paint is also fine. There are ample colour choices for craft paints, however, they are not nearly as vibrant and tend to appear muddy when layered. Brushes - It’s fun to experiment with brushes! Different shapes can add thickness, as well as a myriad of feelings to your painting. Try square, round, long, short, fluffy, and stiff brushes. Hog hair brushes are great for dry-brushing techniques. They are inexpensive and, therefore, not too precious to scrub hard against the canvas. Synthetic brushes come in a variety of sizes useful for outlining, drawing, and details. ﻿Palette - There many different palette options. My favourite is to use a piece of glass, a smooth glass cutting board, or old window pane as a palette. Find them at the Re-store, dollar store, or at your home. A large piece of glass could cover your entire painting table, whereas a small piece of glass could be held or placed nearby. At the end of a painting session, I leave any leftover paint to dry on the glass. When I return to paint, I spray the glass with water, wait a minute, and then scrape the paint into the garbage using a window scraper or putty knife. It’s a more eco-friendly method as I never have to wash the paint down the drain. If you don’t want to use glass or you need something more portable, other options include: plates, empty baby wipes containers (travel size), and wood, plastic or paper palettes from an art supply store. Sketchbook/Journal - A sketchbook and/or journal will be an important partner to you throughout this course. Use one you have on hand, or splurge on something special for capturing the unique wonderings, visions and insights you discover along your journey. In the list linked below, I have shared some of my favourite paint colours, brushes and canvases, in case you’d like to add any of them to your home studio setup. Although this list is posted in Blick U (Blick Art Supplies), as I mention below, you can also find these materials in several other locations. Perhaps the first and most sustainable approach to gathering your art supplies is exploring your local art supply shop — an inspiring place to hang out too! 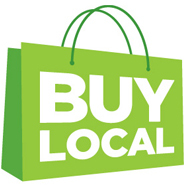 Local shops often have memberships or artist discounts, and they’re staffed by knowledgeable folks who can help you find and learn more about the products you’re seeking. 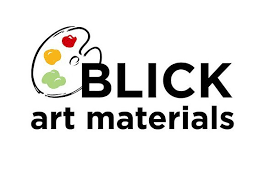 I often order large quantities of paint and canvases from Blick for my in-person classes. It’s an American company, so if you live in Canada exchange rates and duty will add to your costs. That said, you can’t really beat the prices on canvases if you buy in bulk. Opus is Canada’s version of Blick. They carry just about everything as well, and prices are in Canadian dollars. They also sell their own line of Opus Fluid Acrylic paints, which I consider to be just as beautiful as Golden’s line, and generally more affordable too. Since it’s typically the most expensive, Michaels is usually my last choice for supplies. However, they do sell great multi-packs of smaller canvases that you won’t find anywhere else. They carry hog hair brushes and their mid-price craft paint is of decent quality. Sometimes it’s possible to find good deals, particularly on big fancy canvases, watercolour papers or sketchbooks, during promotional sales. Michaels also has a phone app to access 40% off coupons and weekly flyers.